If you’ve been following me for a while, you know that I’ve been on a non-toxic journey for close to one year. I started out just swapping skincare products, but have even focused on what I use for cleaning my home and washing my hands. While that has been a slow transition, finding clean skincare products has been at the top of my list (I shared some other clean skincare products earlier this year), and I’ve tried quite a few! I’m not completely clean just yet, and still use regular products, but thought I’d share some of my favorites that I’m loving at the moment. 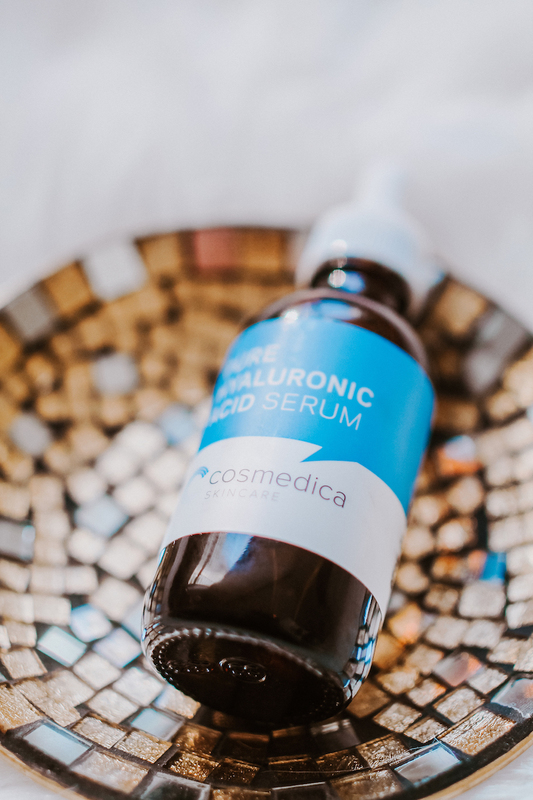 I initially learned of the Cosmedica brand on Instagram, and had been wanting to try it for quite some time! 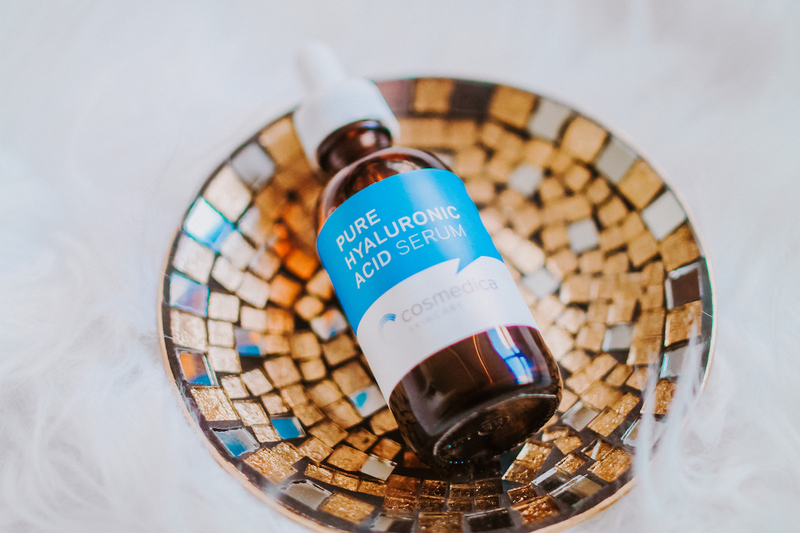 I picked up this Pure Hyaluronic Acid Serum not too long ago, and have really been loving it. My skin has ups and downs with hydration, and right now I’m in a down period. I’ve tried so many different products these past few weeks to retain the moisture in my face, and not too many have worked. However, this acid, which improves texture, brightens the skin and increases moisture, seems to be doing the trick! It appears thick at first, but is extremely light upon application. I highly recommend giving this a try – especially since it’s only $15! 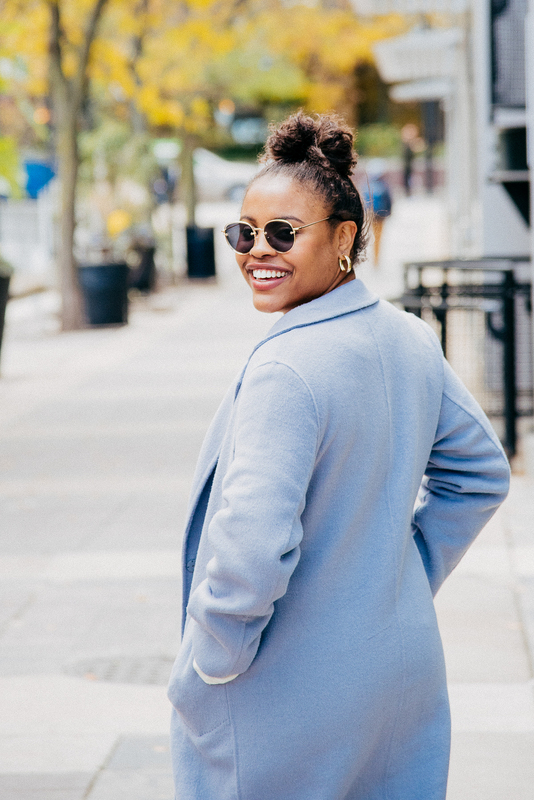 If you’re into clean skincare products, then you’ve likely heard of Credo Beauty. It’s a one-stop-shop for all things clean, so I was extremely excited to visit its Chicago store a few weeks ago! I was on the hunt for a good exfoliator, and was recommend the Marie Veronique Daily Exfoliating Cleanser. I’m one of those people who likes texture in their exfoliator – versus just plain liquid – and I love the fact that this has Adzuki bean powder, which is ideal for getting rid of dead skin cells and polishing the skin. 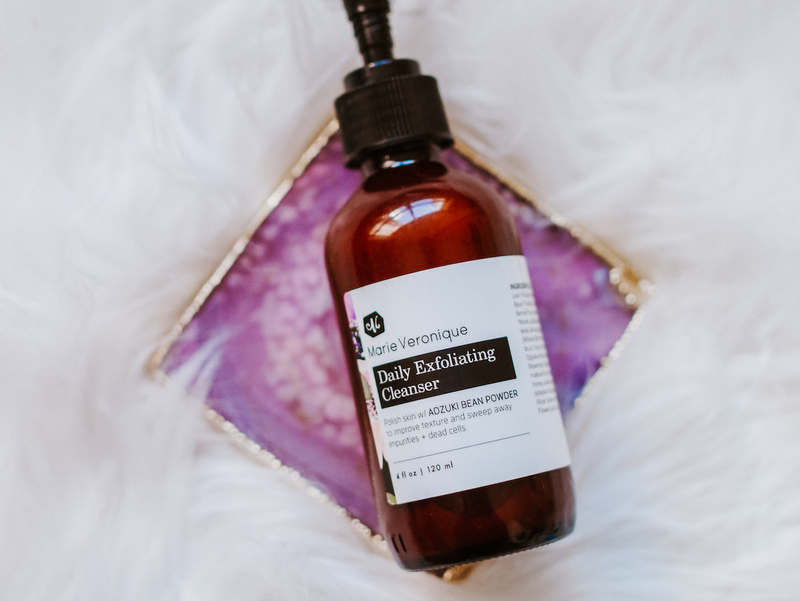 This exfoliating cleanser also works to unclog pores with black willow bark extract, and smells pretty good, too! I recommend using this just a few times per week – not everyday. As I mentioned, I’m always trying new products to keep my skin moisturized. 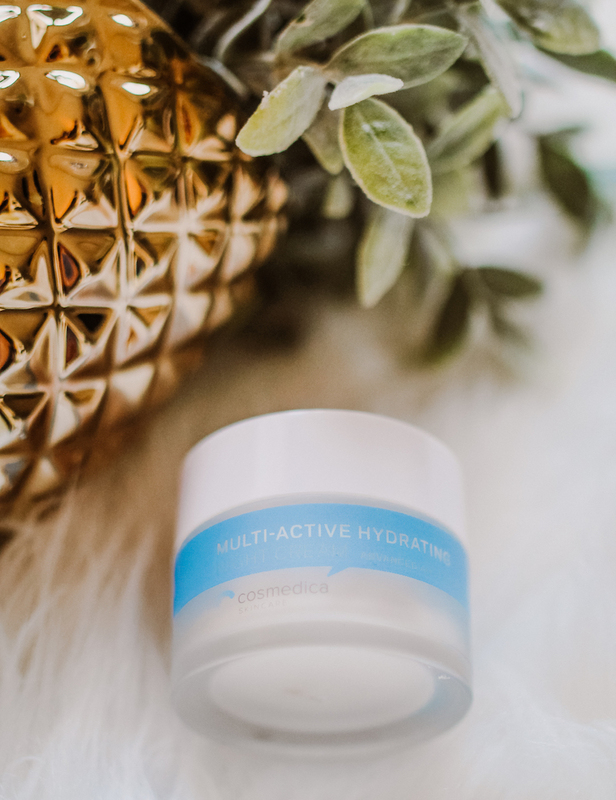 I also picked up this Cosmedica Hydrating Night Cream, and really like it thus far. Not only does it hydrate, but it has anti-aging properties, as well. The product contains Vitamin C, which is great for exfoliating and the collagen in your face, and also has aloe vera and hyaluronic acid. I’ve been applying it before bed right after the serum, and definitely notice a difference when I wake up in the morning! It’s only $26, which is unbeatable for a night cream! What are some of your favorite clean skincare products? Sounds like good picks dear. I’d love to try the Marie vernoique exfoliating cleanser. Thanks for sharing! Thanks a lot, Jessica! And you’ll have to let me know if you get around to trying it!